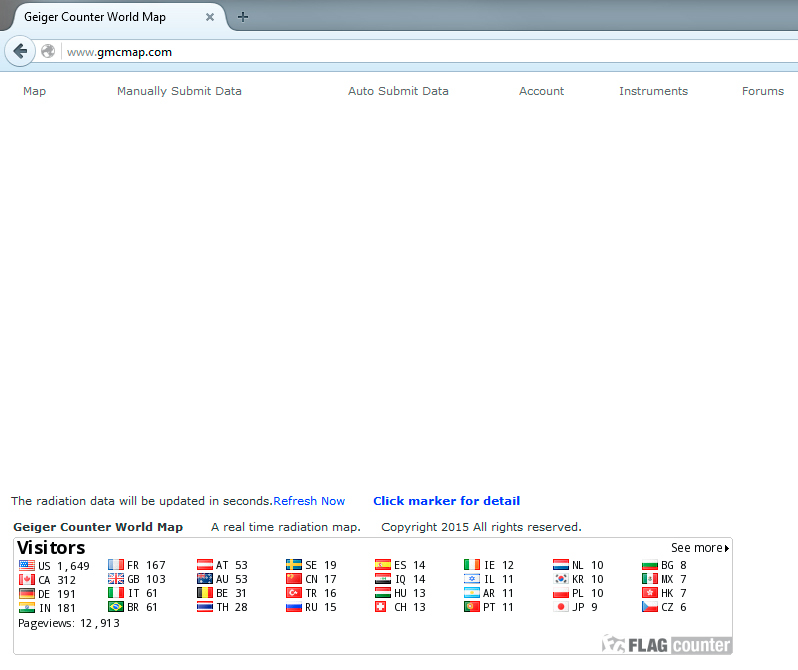 When I go to GMCmap (Firefox 42.0) I can see the map. But when I log in and return to the map it's gone and I can only see the table with country flags. Please fix this. Today I can't see the map at all. Not in Firefox, Chrome or Explorer. it seems someone submitted garbage data. I seem to have this problem more often than not. Exact same issue others have. Page loads with links and flags from the page footer, but no map......only happens if I am logged in. Once I logout I can see the map just fine. What is your web browser version? I am just trying to repeat the problem. I was having the same deal. No map after logging in. I recently created an account and I noticed that the map size under my account information was blank. This information is not asked in the original "New Account Registration" form. and it works now. Note that the form doesn't accept numbers over 999, so 1000 gets truncated to 100. The admin for this site should probably insert some default values here. you may also want to play with the zoom number. I have mine at 5. Make sure you entered Prefered Zoom. It is the same problem in every browser, also in Internet Explorer. No map after logging in. I recently created an account and I noticed that the map size under my account information was blank. This information is not asked in the original "New Account Registration" form. Note that the form doesn't accept numbers over 999, so 1000 gets truncated to 100. The admin for this site should probably insert some default values here.